Don't miss the opportunity to own a beautiful move in ready 3 bedroom 2 bathroom oasis on .55 acres located in Richmond Hill! This home has a beautiful view of woods and nice southern vegetation while offering vaulted and tray ceilings throughout the entire house. You will also enjoy an amazing two car, carport with an attached work shed. 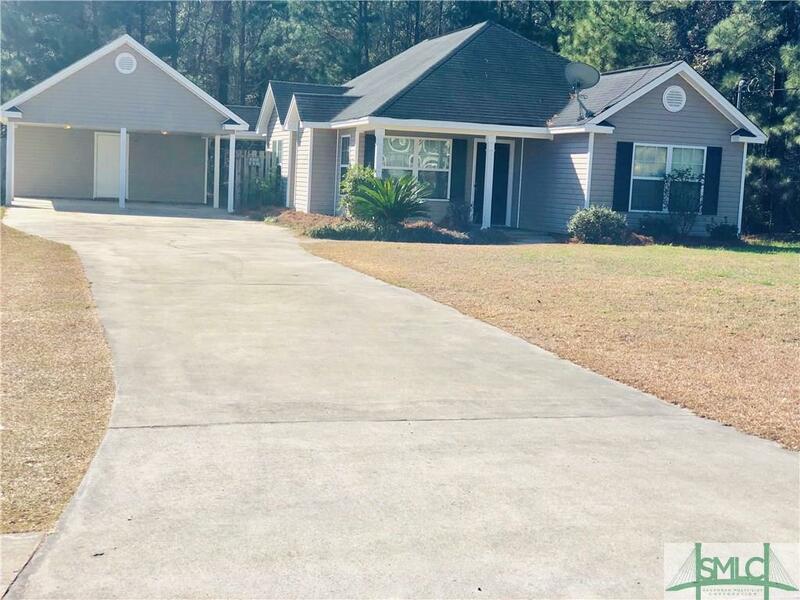 You will find that this home is very conveniently located for quick access to I-95 for a trip to Pooler, Savannah, or HAAF and only 20 minutes from Fort Stewart.